Nowadays, most people know what the term "organic" means as it pertains to their veggies and fruit, but the organic standards for animals are a little more unclear. Our animals are obviously raised without antibiotics, hormones or chemicals of any kind, but what is less obvious are the standards for living conditions. Our chickens have to have roosting space (which is the natural way chickens sleep), size an number requirements for nesting boxes, and minimum outside and inside requirement for each bird. One of the recommendations is that each flock have a rooster or two as it promotes the mental well-being of the hens. Roosters are very protective of their flock and knowing they have a bodyguard makes the hens happier! Roosters take their jobs very seriously, alerting the flock to danger and when they've found a particularly tasty patch of grass. 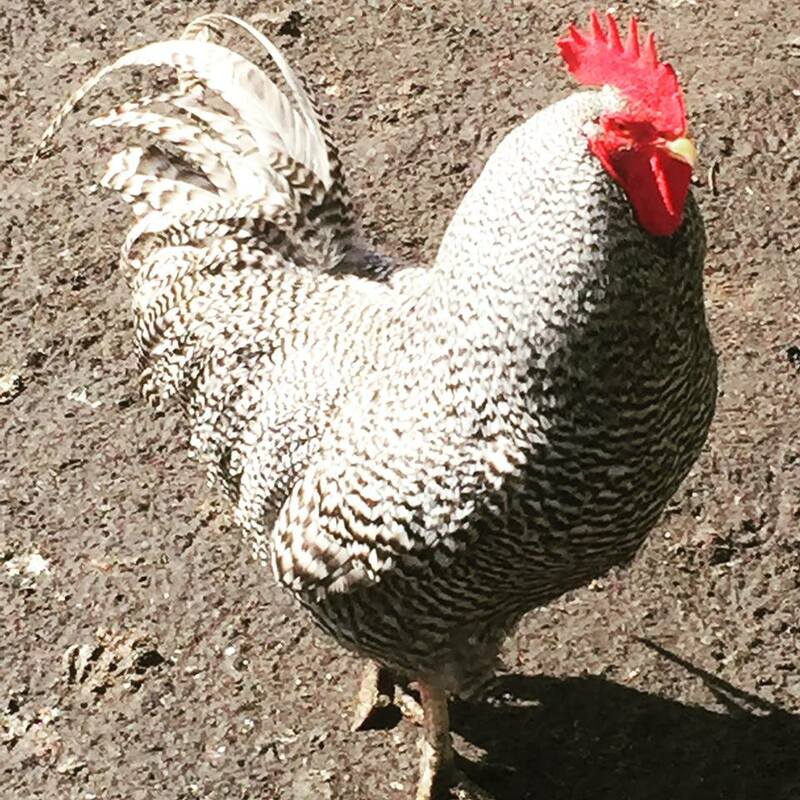 Several times we have ahd particularly brave roosters lose their lives defending their flocks against racoons and hawks.WE are happy to welcom our three newest members of the flock to Kildara--we found out three beautiful roosters needed a home and they arrived last week. The hens love them!